← Where are the Royal Columbian Hospital records? 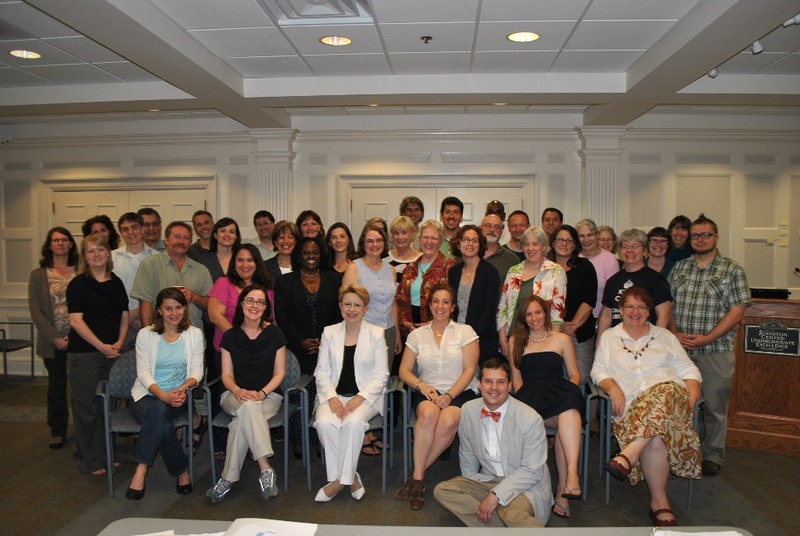 This past May, I was fortunate to participate in the DigCCurr Professional Institute on Curation Practices for the Digital Object Lifecycle at the University of North Carolina at Chapel Hill (UNC-CH). Led by UNC-CH faculty members Dr. Helen Tibbo and Dr. Christopher (Cal) Lee and taught by digital curation experts, the DigCCurr Institute brings together government, university, and private-sector information professionals for a week’s study of strategies and methods for the long-term management of digital materials. Of the 35 participants in the Institute, I was the only municipal government employee; other participants came from institutions as diverse as the Yukon Archives, the University of Melbourne, the Silicon Valley-based Computer History Museum, the New Orleans Jazz and Heritage Foundation, and Massachusetts Institute of Technology (MIT). Despite our institutions’ respective differences in size, location, and acquisition mandate, the results of the pre-institute survey that participants completed showed similarities in both the nature of our holdings and the difficulties we face in caring for them. For example, many of us reported that we hold born-digital files such as GIS data and digital video in a variety of formats, and the majority of us indicated that we have objects in our holdings that we cannot access, view, or manipulate. Our institutions have many common requirements for digital curation, including technological infrastructure for managing our digital holdings, more comprehensive and better-stated policies and procedures, and continued access to training on emerging standards, tools, and good practices. Throughout the week’s combination of lectures and lab exercises, we were able to address many of these requirements and learn established and emerging ways to meet them. 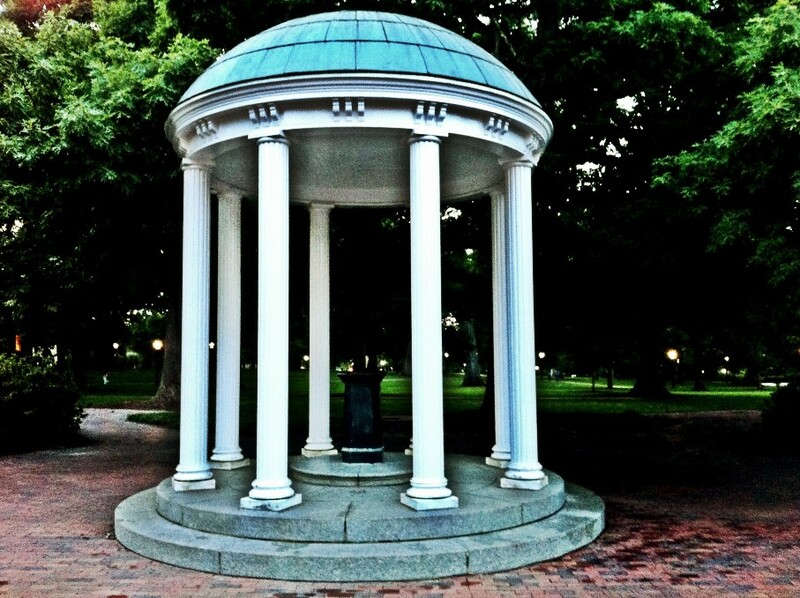 The Old Well is a historic landmark at the University of North Carolina, Chapel Hill, and one of the University’s best-known symbols. Dr. Nancy McGovern led a session on digital curation program development, in which she discussed the complementary concepts of the Three-Legged Stool and the five organizational stages of digital curation program development. The Three-Legged Stool model positions digital curation as the “seat”, which is supported by an organization leg, a technology leg, and a resources leg. Each leg is equally important, and an organization’s progress in developing a digital curation program can be characterized by the state of each leg. At the end of the five stages of program development, the program should meet all the requirements of a Trusted Digital Repository (TDR). According to this model, the City of Vancouver Archives is at least at a Stage 3 of 5. To reach Stage 4, we need better documentation of our policies and procedures, which we’ll be working on this year. Nancy’s session reminded me that a critical piece of the Archives’ technological infrastructure gives us an organizational leg up: by using robustly documented open source software such as Archivematica and ICA-AtoM to carry out some of our digital repository functions, we can point to texts and diagrams describing what our chosen tools do for us and how they help us meet industry standards, institutional requirements, and customer expectations. While applying for formal certification as a TDR may be beyond the current means and scope of the Archives, there are various things we can do to support our compliance with standards. As Helen Tibbo explained, repositories should conduct a self-audit first, followed by a peer audit, before they engage in a formal external audit. We have already implemented several of the measures required to become a TDR, and conducting a self-audit would be a means for us to identify gaps in our infrastructure and determine how we will resolve them. DRAMBORA (the Digital Repository Audit Method Based on Risk Assessment), developed by the Digital Curation Centre (DCC) and DigitalPreservationEurope (DPE), is an online, risk management-oriented tool we can use for a self-audit. One of the lab exercises at DigCCurr invited participants to use DRAMBORA do a short self-audit of a fictional repository. While it may take some time to develop fluency with the tool, DRAMBORA provides a rigorous, low-cost, and flexible framework for a self-audit. Any gathering of digital curators, as we learned to call ourselves during the Institute, would be incomplete without a chance to play with software and digital objects, and fortunately DigCCurr provided plenty of these opportunities. a hex viewer, which provided both a view of the bytes that comprised the files as well as an interpretation, in simple text, of what those bytes mean. That allowed us to read some of the information embedded in each file, for example file format, dates, names of organizations, and personal names. The Institute also included a demonstration of some of the open-source forensic applications being used by the BitCurator Project, further whetting the appetites of those of us keen to implement new tools and workflows back at our home repositories. 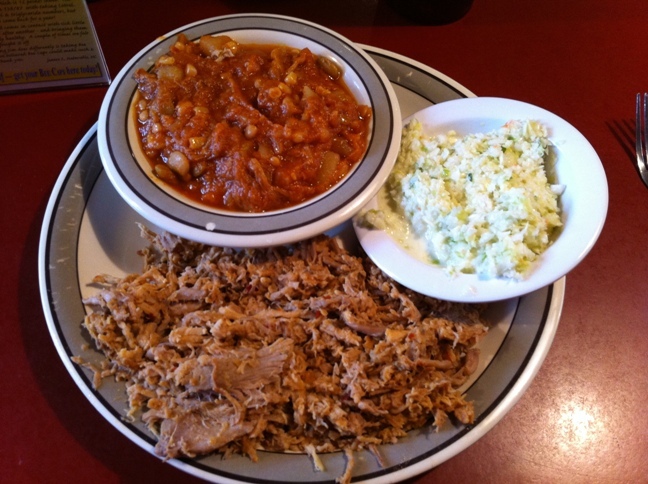 And speaking of appetites, the Institute’s location afforded many opportunities to consume Carolina-style barbecue and traditional sides (or “vegetables”) such as deviled eggs, macaroni and cheese, and hush puppies. Barbecue at the Durham Bulls game! Barbecue was also available at the Durham Bulls game to which many of us went after the fourth day of the Institute. Attending a game with the DigCCurr group was a great way to recharge after a heady day of lectures and labs, and I think we all appreciated the thoughtfulness of the DigCCurr leaders who organized the outing. 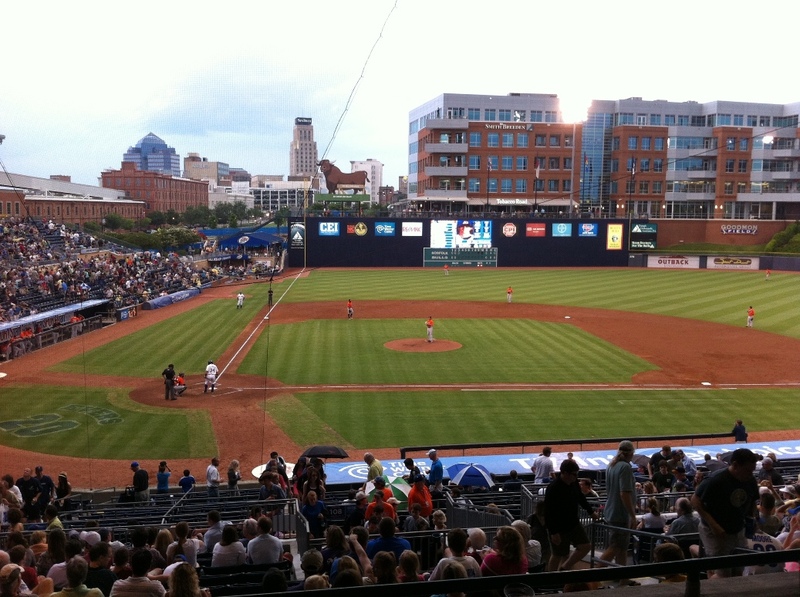 The Durham Bulls playing the Norfolk Tides in Durham, North Carolina. Photo credit: Christopher A. Lee. As a result of participating in the DigCCurr Professional Institute this year, I’ve increased my level of fluency with the standards, concepts, and practices that form the basis of digital curation and extended the Archives’ network of practitioners and researchers. I found the institute to be an excellent week of study and hands-on exercises, and I would highly recommend it to archival practitioners seeking to learn more about digital curation practice. Thank you to the organizers of the Institute for an exceptional learning and networking experience. This entry was posted in Archivy, Digital Archives, Preservation and tagged DigCCurr, digital curation. Bookmark the permalink.